Between the 1270s and the 1320s the King, the military orders and various aristocrats, along with some members of the urban oligarchy, promoted the drainage of at least ten swampy coastal areas for their distribution and agricultural exploitation. 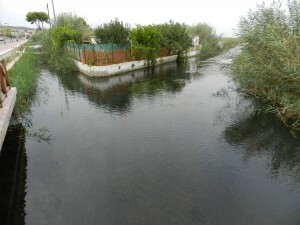 There is no evidence for the extensive cultivation of these wetlands by Andalusi peasants before the Christian conquest, but this does not mean that they were totally outside the limits of the previous agricultural system; they were used for seasonal grazing and highly diversified forms of hunting and gathering. The scale of the drainage works executed never fully obliterated these forms of exploitation, but their potential was very much reduced in exchange for high initial yields. Agricultural production, however, was highly specialised and was totally dependent on the costly maintenance of the network, which was often left in the hands of French specialists. In fact, most wetlands thus treated returned to their original conditions following the impact of the plague (1348) in a situation that could not be reverted until half a century later. Our works on this issue are as follow. Irrigation agriculture was the most significant activity in Andalusi agricultural ecosystems, both in terms of extension and productivity. Irrigation was generally organised in discrete areas, created around small rural settlements or hamlets known as qurâ. Following the Christian conquest of Sharq al-Andalus, which took place between 1233 and 1245, these ‘hortes’ or ‘huertas’ were subject to an intense process of transformation, which affected their spatial distribution and their use, especially in those settlements where the previous Andalusi inhabitants had been replaced by Christian colonists to whom the land had been allocated. It is also true that irrigation infrastructures, especially the main irrigation channels and their derivations and the location of watermills, did not suffer major transformations. However, the impact of the new social practices on water and land use in the 13th century was of great magnitude, and caused the transformation of the physical organisation of the rural landscape and the irrigated spaces. These effects were: the concentration of the population in middle-sized settlements (often involving the disappearance of the pre-existing hamlets); a considerable increase in the size of the irrigated spaces, which was aimed at meeting the land demands of the Christian colonists; lengthening of irrigation channels; draining of wetlands; construction of new irrigation systems (for instance in Séquia Reial d’Alzira, Séquia Major de Vila-real, etc. ); a new land-plot distribution, which responded to the new property structure; and transformation of the predominant crops, with a new preponderance of bread-wheat and vines, etc. 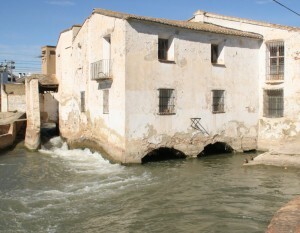 These social changes also had an effect on the allocation of water rights: allocation was in almost every case left in the hands of the municipal authorities, except when ‘hortes’ extended over several municipalities or in the case of the main cities (Valencia, Xàtiva, Orihuela), in which case communal systems were put in place. In any case, we must not forget that in part of the new Kingdom of Valencia, the Andalusi population was not expelled (they are referred to as ‘sarraïns’ in the written record), especially in lordly estates. In these cases, irrigated spaces continued to be exploited as they had been before, and did not suffer most of the aforementioned changes; there seems to have been a trend towards the expansion of the irrigated area, aimed at increasing production, but this had little impact on the configuration of the rural landscape as a whole. For this reason, and with all due precaution, it may be claimed that the original characteristics of Andalusi irrigation systems were preserved in those ‘horta’ areas in which the Muslim population remained. Agricultural terraces have frequently been regarded as a typical element of the ‘traditional landscape’ of Mediterranean mountain areas. However, the construction of terraces is not a simple technical solution automatically or homogeneously applied; it is not, as it were, devoid of value for historical analysis. 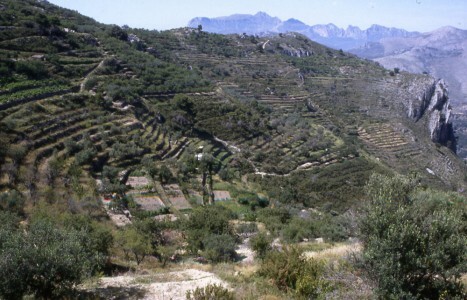 The research carried out in the mountainous Valencian hinterland has shown that terraced areas may be analysed through the application of archaeo-morphological techniques, and that the results of said analysis can reveal specific construction criteria in each case. 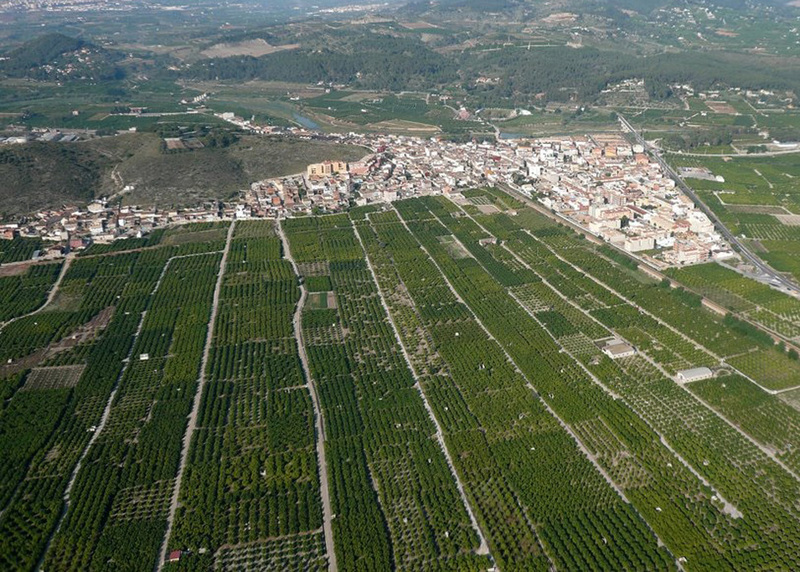 The comparison of terraced areas built during the Andalusi period and those created in the wake of Christian colonisation episodes (in the 13th-14th centuries first, and later in the 17th-18th centuries, following the expulsion of the Moriscos) unveil clear functional and structural differences which are, moreover, coherent with the prevailing social logic in each period. During the central decades of the 13th century, the crown of Aragon conquered part of the Mediterranean coast of al-Andalus, expelling the Andalusi population and systematically distributing lands to Christian colonists; each family was typically awarded between three and six hectares. 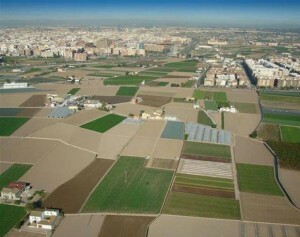 In the Kingdom of Valencia these distributions span the period from the 1230s to the first third of the 14th century. They necessarily involved a technical process of land measuring and marking, which was entrusted to individuals with practical geometry skills, known as repartidors and soguejadors (surveyors). The task of these land surveyors can be divided into two major categories: first, the work carried out in already existing irrigation areas; in this regard, land plots were for the most part measured and distributed without altering major features in the pre-existing agricultural landscape (roads, significant irrigation channels and even terraces). The second category is the division of land into regular plots, basically following a grid pattern, and sometimes also including the creation of a new road network. These later type of intervention was very frequent and had much in common with other coeval processes involving the foundation of new towns elsewhere in Europe, especially in Occitania. We are currently identifying examples of the creation of new land plots in the 13th century, through the morphological analysis of cultivation areas and the systematisation of the written record concerning land distribution. This task is made easier by the crown-promoted adoption of new longitude and surface measuring units in the Kingdom of Valencia in 1240. 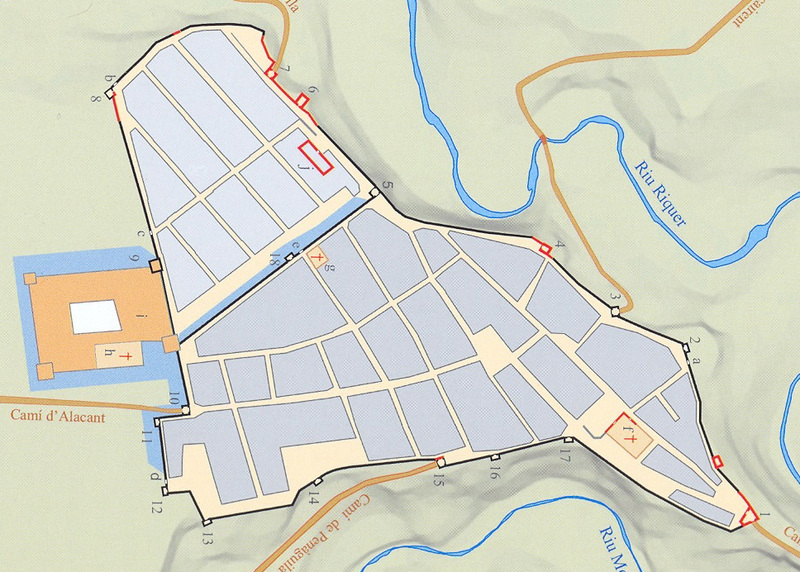 This helps to identify medieval land allocation processes with the aid of land registry maps and aerial photography. For a long period of time, watermills were the most advanced machines known to society. The diffusion of vertical penstocks or arubah, a variety particularly well suited to Mediterranean environments, was initially associated with the Arab-Berber expansion and more specifically with the implantation of irrigation agriculture, the basis of their agricultural strategies. As a rule, the location of watermills was intended to respond to the needs of both farmers and millers, which were in many cases members of the same communities. In the case of the Iberian Peninsula and the Balearic Islands, the Christian conquest effected in the 12th and 13th centuries involved the integration of watermills into a whole new agricultural system, and were thus placed under the monopolistic control of the feudal social elite. Despite this, they remained a basic element of irrigation systems and at the centre of conflicts between farmers and millers, and also between rural communities and mill owners over the use of water. These conflicts were often caused by the permanent lease or even full cession of these mills in favour of some knight, burgher or even a specific rural community. In this regard, and in addition to their current heritage value, they are a key instrument for the understanding of the changes undergone by irrigation systems after the Christian conquest in the 13th century, and also for the social management of water in the Late Middle Ages. The conquest of the Kingdom of Valencia involved the suppression – through deportation and other measures – of a large proportion of the native Andalusi population, and thereby the abandonment of a significant number of rural settlements (qurà, sing. qarya). 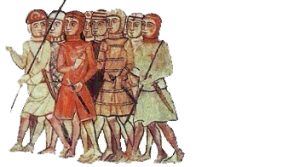 Simultaneously, an important colonisation process – mostly with settlers from Catalonia and Aragon – was set in motion, stretching until the early 14th century. 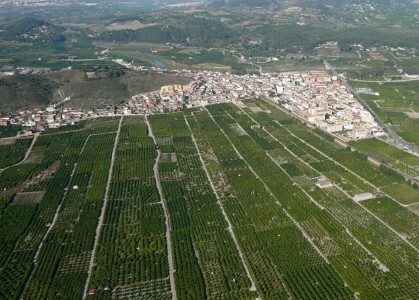 In some cases these new colonist communities (viles, llocs) settled in brand new urban centres while in others they reused former Andalusi villages. The distinction between new foundations, designed following geometric patterns laid by land surveyors as with bastides and villeneuves, and the reused Andalusi settlements was, however, not quite as neat as that. It was for example common that after initially occupying an Andalusi fortified settlement the colonists eventually moved to a new village on the plain (mutatio ville). 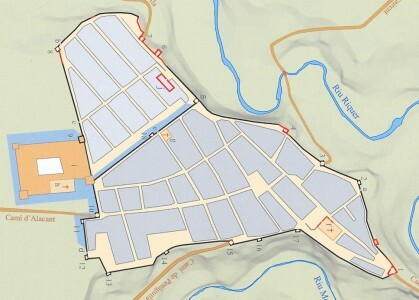 On the other hand, even when the new settlers remained in inherited urban centres, internal reorganisation dynamics soon ensued with the abandonment of the old buildings, or through the transformation of the street layout, swiftly blurring the distinctive features of the previous ground plan.